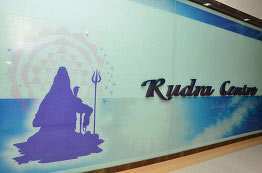 Puranas and the Tantric scriptures regard Mahakali as the primordial force of the Universe and the divine consort of Lord Shiva. Sage Markandeya in his Markandeya Purana mentions that Mahakali is an extension of Goddess Durga. Mahakali in a literal sense means Great time; Maha-great and Kali from ‘Kala’ meaning time. She is the goddess of time and death. Goddess Mahakali is one of the most powerful deities in Hinduism. 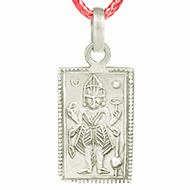 Maa Mahakali is also believed to be the form of Adi Parashakti. 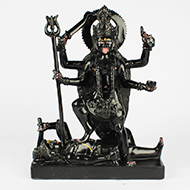 Kali also manifests as Shakti, which represents feminine energy, fertility and creativity. Also known to be an incarnation of Parvati, Goddess Mahakali is often represented as a fierce and strong Goddess who wears a necklace of heads, skirt of human hands, lolling tongue which is covered in blood. 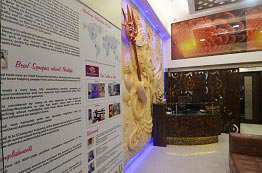 In order to be protected and to receive Her blessings you can also pray to Mahakali Yantra. 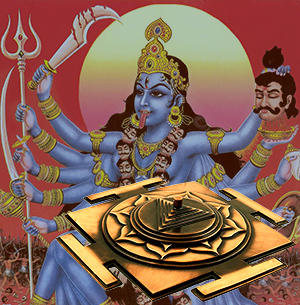 Mahakali Yantra is a very powerful tool that emits the divine power of Goddess Kali. This Yantra radiates occult powers that nullify the ill-effects of black magic, freeing the native from bad influences of spirits and ghosts. This Yantra also eliminates the harmful effects of malefic planets, especially Saturn who is usually responsible for misfortunes, sufferings and sorrows in life. 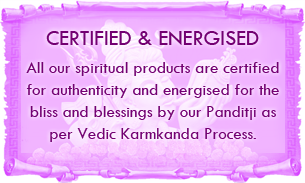 Kali Yantra bestows spiritual power, results in fulfilment of desires, increase in wealth and comforts. This Yantra can also be used for meditating over Goddess Mahakali. This will help in making you more focused and mentally stable. 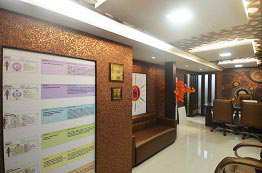 It will also aid in attaining union with God through geometric visualization. 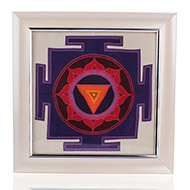 This Yantra is the window through which you can align with divine energy. Through resonance it connects you to the energy present in the macrocosm. It is very important to place the Yantra in the appropriate direction. 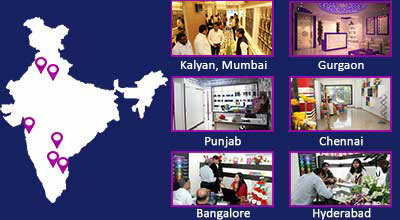 Yantra energizes the location where it is installed. You may place it near the entrance of your home/office/shop or in your living room or reception or study room or office cabin. You may keep it on a table or use as a wall hanging. Yantra is best placed in the East direction facing west. It gets energised by the rays of the rising Sun and with the divine vibrations of the East corner and provides positive transformative energies to the dwelling through its mystical geometry. Yantra are the ultimate answer for establishing a vibration of large amplitude or resonance with the benefic energies of the cosmos. Thus the vibration generated gets us in contact with highly elevated energies & entities which put us on a spiritual path resonant with the principles of the deity of that Yantra. When you look at the Mahakali Yantra, you will notice certain symbols that are engraved or printed on it. This Yantra is composed of a Central Point (bindu) which indicates the energy and its extreme concentration at the centre. It is also called the centre of cosmic radiation. Bounded by different surfaces such as a triangle, a hexagon, a circle, the bindu represents the union with the force or creative energy ruling the Yantra. The five inverted triangles are known as Trikona, which is the emblem of Shakti, the absolute female energy of the Divine. 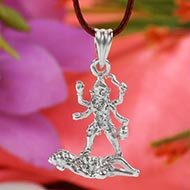 It completes the creation or manifestation of both, material as well as spiritual worlds. The triangle pointing down characterizes the Yoni which is the source of all creations and represents the Water Element for water flows down. 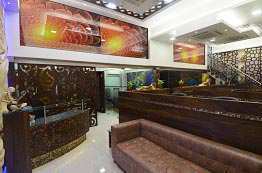 Pointing upwards signifies forceful spiritual desire, the transferal of one’s nature into the subtler sphere and the Fire Element because Agni always burns upwards. Fire Element represents Shiva and Water Element represents Shakti. The three circles are known as Chakra, which stands for rotation which is central to the functioning of the macrocosmic progression. At the same time, the circle signifies perfection and the peaceful creative void of the Vishuddha chakra. 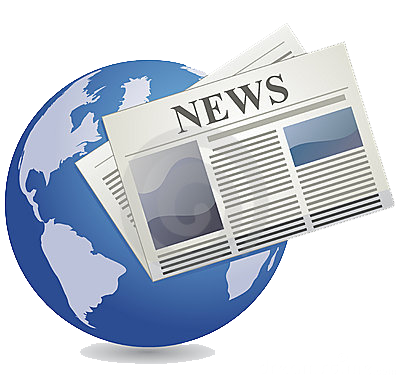 In the series of the five fundamental elements it represents the Air Element. The eight lotus petals inside and outside are known as Padma. All the Vedic scriptures as well as the scriptures of other faiths consider lotus to be the divine emblem of purity that resides in the chakras. A lotus in Yantra represents the unconditional force of the Supreme Absolute Truth i.e. detachment. 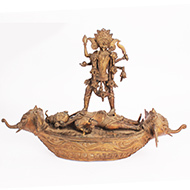 The lotus serves as a divine seat for Devas (Gods). It grows in the mud but never touches even a tinge of mud, representing detachment to the external forces (material world) and maintaining the original nature which is pure and divine. The whole Yantra enclosed in four doors. This Yantra contains a symbolic representation of the Goddess Mahakali, the oldest form of the Mother Goddess known to India. A special ritual for this Yantra can be performed on the eighth Day of Chaitra (March-April), Ashadha (June-July), Sharavan (July-August) and Magh (January-February). 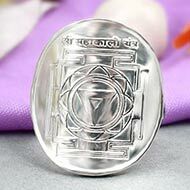 This Yantra bestows fulfilment of desires, wealth, and comforts. Take water with a leaf from any tree and sprinkle the water on yourself, followed by sprinkling the water on the Yantra. Close your eyes and concentrate on Goddess to bless you. Now with all sincerity, ask Mahakali to grant you the desire of your life. Purpose: to overcome enemies, protection from Black Magic, Saturn & Evil influences.